Removing driveway sealer from a concrete surface is not an easy task. Driveway sealer is designed to protect your driveway from the elements including weather and most chemicals. You may be wanting to remove the sealer because it is flaking in spots, holes are developing close to the edge of your driveway or you want use a concrete stain on your driveway. You need a chemical stripper, the right tools and plenty of time to remove the sealer from the concrete. Sweep the area of concrete containing the sealer you want to remove. If the area is small, wipe the area with a damp clean cloth to remove any dirt or dust. Wear rubber gloves, boots, nose mask and safety goggles to protect yourself from the dust, dirt and chemical stripper. Apply a chemical stripper over the area by pouring it and spreading the stripper out using a large squeegee or old broom. Let the chemical stripper set for at least 15 minutes. Scrape the concrete surface using a paint scraper to remove both the chemical stripper and sealer. Work in sections if the area is large. You should see a rough-looking concrete surface as the sealer is coming up. Apply more chemical stripper and let it set longer if the sealer is not coming up easily. Rinse the concrete surface using a hose with a sprayer attached. Mix in a bucket a soap solution of 50 percent all-purpose cleaner or detergent and 50 percent warm water. Apply the soap solution to the concrete surface. Agitate for about 10 minutes to remove any residue. Rinse the concrete surface at least four times with water from a hose. 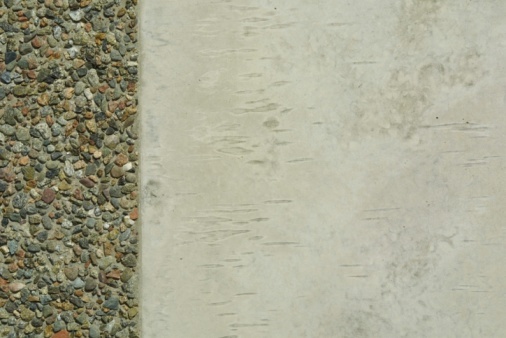 Let the concrete surface dry before applying another sealer or other finish.